The 2013 Art Stage Singapore is a land of wonders when it comes to realizing images of the fantastic in the form of slick and superbly crafted fabricated sculptures. There is also a strong component of massively scaled paintings, but far less percentage wise than what I saw in Miami Beach in December 2012. There is a definite positioning of powerful and evocative and strong Conceptual Art, which should please the international curatorial set. The Singapore government, the artist world and Pacific Rim international galleries have shown in short order that an international platform for global contemporary art can be orchestrated to perfection. This is especially remarkable in that Singapore itself is not a primary art production center as is Shanghai, Beijing, Tokyo, Australia and now Indonesia. Yet in concert with the explosive new international gallery scene in Hong King, which will in May 2013 see the launch of Art Basel Hong, Kong, there is no doubt that the Pacific Rim is well positioned to come to the forefront of contemporary art production, exhibition and sale as the new art super-market of the world. PREMIER art fair Art Stage returned in its third year with a roar, after a lacklustre performance last year. Six-figure sales were seen from Day One. By the end of the four-day fair, gallerists said sales for the high-end artworks typically priced between $5,000 and upwards of $500,000 were “healthy”. Timothy Taylor Gallery from London, which was taking part at Art Stage for the first time, sold a Sean Scully abstract for over US$500,000, as well as two early Andy Warhol illustrations priced between US$20,000 and US$25,000. If you can’t travel far to visit “the Olympics of art world” the Art Basel, you can settle for one of Asia’s leading art fairs the Art Stage Singapore for now. Returning for its third year this January, the exhibition boasts 131 galleries from 25 countries, with a stronger focus on Southeast Asian art. There’s an Indonesian Pavilion featuring one of the largest international showcase of Indonesian contemporary art to date – with a total of 36 artists and art collectives. The Singapore Platform, specially commissioned by National Art Council (NAC), will be showcasing work by some of the most exciting home-grown talents as well as two curated projects “New Black City” and “I’m an Artist. Now What?”. “New Black City” is a collaboration between three artists Jason Wee, Khiew Huey Chian and Jeremy Sharma while “I’m an Artist. Now What?” is a project by Charmaine Toh with work by Ang Song Ming, Rizman Putra and Samuel Chen. The Singapore platform booth is located at B4-01 at the back of the hall in front of the Indonesian Pavilion, if you’re a supporter of local art scene – don’t miss it! Happening at the Sands Expo & Convention Center Hall D, E & F at MBS, the exhibition opens today to the public and concludes on Sunday 27 January. Entry ticket is priced at S$33 for a single day trip and S$63 for four-day entry, you can purchase the tickets at Sistic. Find out more info on opening hours and other fringe events at www.artstagesingapore.com. Below are some photos I’ve taken at the preview yesterday, just a teaser of what’s going on at Art Stage, it’s a different feeling if you walk around a spacious hall with plenty of blank white partitions lined neatly. A Singaporean artist getting interviewed by a TV crew. From Opera Gallery, doesn’t this remind you of George Orwell’s 1984 “Big Brother is watching you? Also, please refrain from making jokes about contact lens. Tomorrow (January 24) marks the opening of a couple art fairs you should know about. One is the Art Los Angeles Contemporary (more on this soon) and the other happens on the other side of the globe in Asia. Art Stage Singapore is arguably the highest profile art fair that focuses on the Southeast Asia region with over 120 galleries (75% of exhibitors are from the Asia Pacific region). 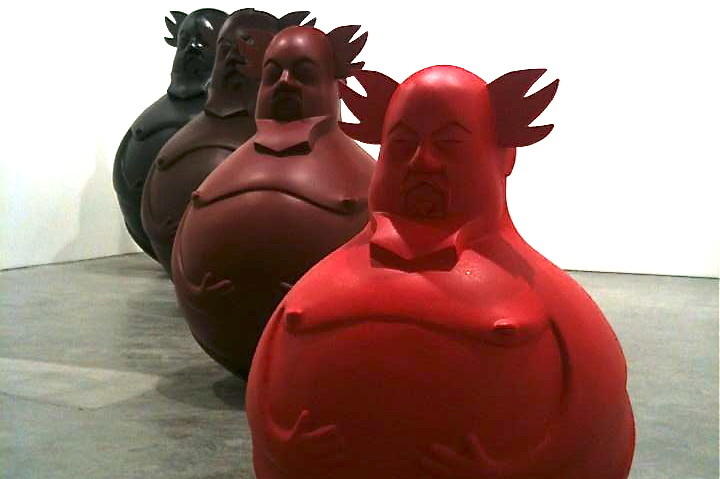 Here are some setup and preview images for you of the work that will be on display including collaborative works between Hong Kong toy designer Eric So and Chinese contemporary art giant Ai Wei Wei dubbed AIBUDAO (which phonetically sounds like “unlovable” in Chinese). Photo credit: Art Stage Singapore & Jeffrey Koh (via Toysrevil). “It’s a collection of collectors,” remarked one young artist at the vernissage of this year’s Art Stage Singapore last night, “I’m going to make an art work about it.” It was indeed a buzzing evening around the single floor of the fair, stashed in the lower basement of the Convention Centre; a smart, reasonably international crowd perused art works — and each other — among the some 130 gallery booths (a number almost precisely matching the 2012 edition). Noticeable was the absence of several big names that had been present last year, including 10 Chancery Lane, Ben Brown Fine Arts, Lehmann Maupin, Tang Contemporary, Victoria Miro and Marlborough Gallery. Though the tally of solely local galleries was slightly down for 2013, that of those who count Singapore among their multiple locations was up significantly from 12 to 23. And was it a large collection of collectors? While Tina Keng (founder of the eponymous Taipei and Beijing gallery) reported a satisfying number of new collectors, Audrey Yao, of Yao Workshop, attested to good sales to existing clients. The latter explained also that after having created something of an “anti-fair” booth last year with minimal, edgy works, she has deigned this year to offer something a little less niche in tandem with the fair’s attendees (and its still somewhat “flashy” identity). Nonetheless, the Singaporean native plans this year to move her London-based gallery back home, where she believes platforms like the fair are contributing to an improved environment for contemporary art. Regional chatter never seemed far from the lips of visitors and participants alike. For non-Asian galleries, and as an alternative to Hong Kong, Singapore represents a far easier place to go than Shanghai; one went so far as to call it, laughingly, “The Geneva of Asia.” For a Beijing-based gallery like Boers-Li, however, the fair represents a significant — and slightly unsure — step into the “Asia Room” (according to Waling Boers, who opted not to attend Art Stage again this year). Walking round the stands, the presence of local galleries and artists is not strongly felt. A mere two booths showcasing Singaporean artists’ work (the “Singapore Platform”) is positioned awkwardly at the mouth of an expansive Indonesian Pavilion; there, distinctively styled installations by individual artists better convey a sense of their identity than does “New Black City,” a perplexing walk-in work by three Singaporean artists composed mainly of black cones and panels, with small white sculptures appearing in places. A young local art student admitted he wasn’t sure what made Singaporean artists stand out against the more definite styles of those hailing from the Philippines and Indonesia. Indeed, there were noises that Art Stage may not be doing the best job at ingratiating itself locally. One gallerist reported a client wanting to boycott the fair, while some local art spaces apparently feel looked down upon. Certainly, the fact that Art Stage approached Indonesian artists directly for the Pavilion — and is selling their works directly too — will not have pleased their galleries. Beyond such clashes, however, the consensus is that this year’s fair has been well organized, with production improved on the last. The layout of the booths is engaging and clean, with some interesting floor plans in play. Though the Special Project installations are not especially edgy, their placement is well-balanced with the booths, and the quality of lighting is high. There are impressive booths by C-Space (Beijing), Catherine Asquith gallery (Melbourne), Yao Workshop (London), Carroll/Fletcher (London), Espace (Shanghai), Art Front (Tokyo) and Edouard Malingue (Hong Kong). On-site this afternoon, gallerists commented on a very quiet second day. Sales seem to be quite slow, though Haunch of Venison is happy with more “energetic” buying than last year (having sold out their works by Tibetan artist Gonkar Gyatso, and gleaned significant interest in “The Lovers” — a kitsch work composed of amorously entwined scooters by Patricia Piccinini). Tina Keng is also pleased with improved sales on 2012 — though mentioned wryly that the works have not yet been paid for. All are no doubt glad there is no VIP trip to Indonesia of the kind that whisked away collectors on the final day of the fair last year, leaving gallerists irate in their booths. And after dark, for all the fair proclaiming “Art is chic” on banners along the streets of Singapore, the night life has not been aflame. The official VIP after-party, which promised “All-night arty surprises” (the mind boggles), yielded nothing of the sort, with VIPs sloping quickly away to their beds. One Emmanuel Perrotin left soon after your correspondent discovered him loitering on the night club steps, while others hadn’t bothered to attend in the first place. Perhaps the neon-lit VIP lounge at the exhibition centre, with its champagne and chocolate fondue, had already satisfied social appetites. The opening party this evening chez SAM (Singapore Art Museum) proved more attractive, with tasty local eats and a slick collectors’ show (“The Weight of History”) drawing a lively crowd to Bras Basah Road. Thus is the third edition of Art Stage Singapore officially underway. With Hong Kong looming to the North and necessary weight still coming from Indonesia, it seems Singapore has yet to establish a strong identity for itself in terms of its own artists and cultural structures. Although local support for contemporary art is developing through museums and initiatives like the Gillman Barracks gallery enclave, this year’s Art Stage is still one upon which non-locals star. The ease of attendance for foreign visitors to Singapore and an Asian inflection against Art Hong Kong’s aggressively international stance (plus Art Stage’s relatively comfortable scale and affordability for participating galleries), lie in its favor however. While sales totals this year have yet to be seen, there is reason to watch Art Stage Singapore as a gauge of the region’s high-cultural commerce. 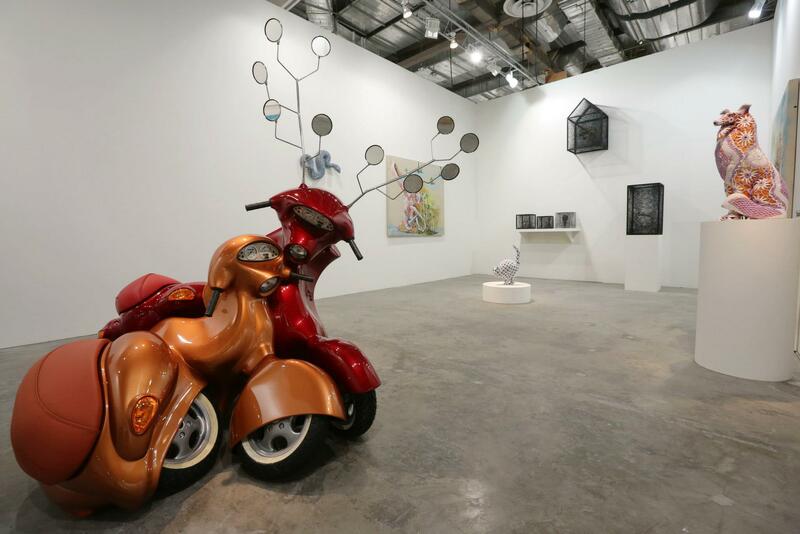 Art Stage 2013 is the 3rd edition of the contemporary art fair in Singapore and was held January 24th-27th. More than 130 galleries (75% of them were from Asia and the remaining some of the most established art galleries from all over the world) have showcased their artists and art works for new emergent, curious and wealthy art lovers, curators, artists and collectors who are still looking for the Capital of Art in Asia. The battle has already started some time ago and today Hong Kong, Beijing, Shanghai, Tokyo and Singapore seem the best contestants to win it. But also other cities in Far East and South East Asia could make a leap ahead, from Thailand to Malaysia, from Korea to Macau. Anyway, Singapore will be for a long time an incredible market platform not only as a financial and management centre, and it is the right place for dialogue and even more a unique place where East culture meets West and vice versa. The political solidity and high standard quality of life give Singapore the right background for an increasing art scene, culture and market . Lorenzo Rudolf, who’s served as director of Art Basel for 10 years before setting up Art Basel Miami, has found in Singapore the perfect Asian city where to set up a new art fair in 2010. In three years, the organizers reached their goals with more than 35,000 visitors, in a weekend only, during the last edition. This year the main idea was included in the title of the 2013 edition: We Are Asia. To understand the concepts, it’s enough to look at some of its highlights: “Singapore Platform”, showcasing the best of homegrown talents, and the “Indonesian Pavilion Feature Exhibition” that was considered the most comprehensive showcase of contemporary art in Indonesia collecting 50 artists in one show. Contemporary art, but not so much photography at Art Stage 2013. However Singapore is interested in photography, in fact just a few months ago (in November 2012) closed the third edition of the Singapore International Photography Festival. Next edition: 2014. There were at least three galleries at Art Stage that mainly focused on photography and introduced their photographers. From Paris, Polka Gallery with Daido Moriyama’s limited edition silkscreens and Visionairs Gallery with a special edition of the series Manga by Korean photographer Ahn Sun Mi who revealed her work entirety in small format. New York-based Singaporean photographer and visual artist John Clang, represented by 2902 Gallery (Singapore) presented his new work Myth of the Flat Earth that “examines the modern condition – the inescapable anxiety and pressure of falling in line and needing to stay ahead”. Rizman Putra’s performance at I Am An Artist. Now What? under Art Stage Singapore’s Singapore Platform. Samuel Chen’s After… at I Am An Artist. Now What? under Art Stage Singapore’s Singapore Platform. One of Ding Yi’s ‘Appearance of Crosses’ paintings sold for around US$450,000 at Art Stage Singapore. SINGAPORE — Art Stage Singapore’s director called this year’s fair a success, with both attendance and sales stronger than 2012’s. Some 40,500 people attended Art Stage, which ran from Jan. 24 to 27 at the Marina Bay Sands, up from last year’s 35,000. The fair didn’t share total sales figures, but Mr. Rudolf said that they would be “much better than last year,” which he called a weak one. This year’s biggest change, a space dedicated to the work of Indonesian artists and galleries, appeared to have paid off. International galleries also seem satisfied. London’s Timothy Taylor Gallery sold one of Sean Scully’s abstract paintings, which depicted rectangular blocks, to an Australian museum for US$550,000, while China’s ShanghArt sold a painting of checkered squares from Ding Yi’s “Appearance of Crosses” series for S$560,000. It also sold pastel drawings of a horse and propeller plane by Sun Xun, a Hangzhou-based animation artist, for S$60,000. “It’s been a very busy week,” said Chen Yan, a ShanghArt director. “This was a ‘make-it-or-break-it’ year for Art Stage,” because of last year’s weakness, said Sundaram Tagore, who owns galleries in the U.S., Hong Kong and Singapore. “They made it.” His gallery sold a series of waterfall paintings by Hiroshi Senju for US$415,000 and was in the midst of closing the sale of an Annie Leibovitz photograph of Demi Moore for US$46,000. 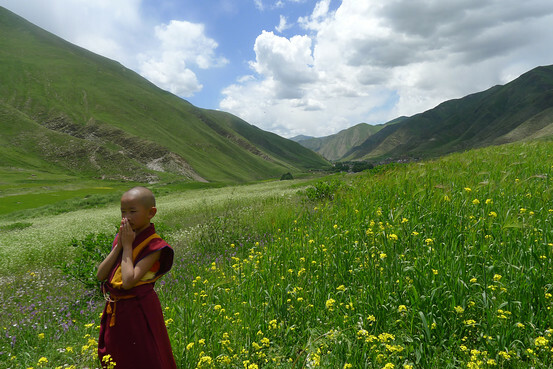 Arahmaiani’s ‘Lobsangnima, a Young Tibetan Monk in Yushu’ (2011). The artist is among several Indonesians whose work will show in a special exhibit at next year’s Art Stage Singapore. 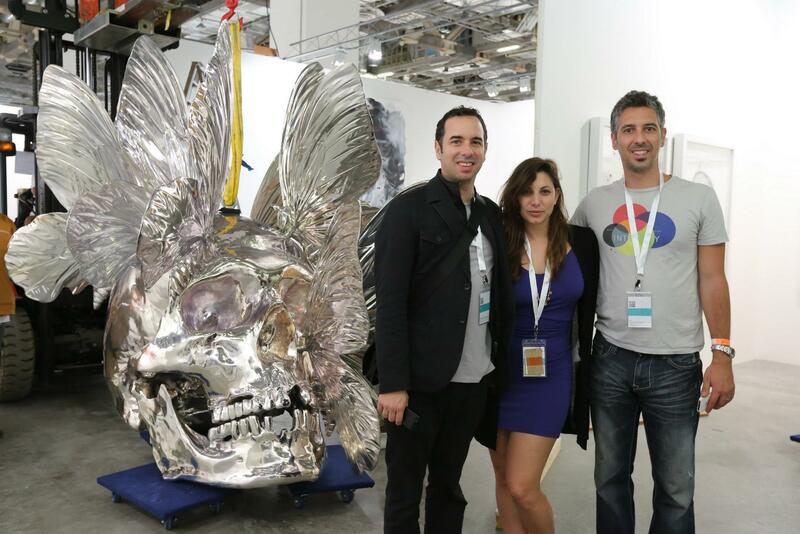 At Art Basel Miami, Lorenzo Rudolf championed Latin America’s contemporary art scene and helped raise its profile. As director of Art Stage Singapore, he aims to do something similar for Indonesia. “The exhibition is a fantastic chance for me to give the audience a broad perspective regarding the Indonesian art scene,” said abstract painter Jumaldi Alfi, who plans to show “Melting Memories, Rereading Landscape,” a landscape painting inspired by Dutch colonial-era art. Other expected to participate include Arahmaiani, an artist who explores political themes in her work and has shown at the Venice Biennale, and Heri Dono, whose sculptures and paintings often feature cartoon characters. Art Stage declined to say how much the exhibit and representation would cost. Will Art Stage scare off some of its participating galleries by competing with them? On the final day of the 2012 fair in January, Mr. Rudolf brought a small group of collectors to visit artists’ studios in Indonesia. Some galleries complained that they were cut out of the tour, which they said took collectors away from the fair. Oei Hong Djien and Deddy Kusuma, collectors known for their interest in Indonesian art, have both signaled their support for the initiative. Biantoro Santoso, founder of the Jakarta-based gallery Nadi, is also supportive. “We can promote Indonesian contemporary art to a much wider international audience at Art Stage,” he said. 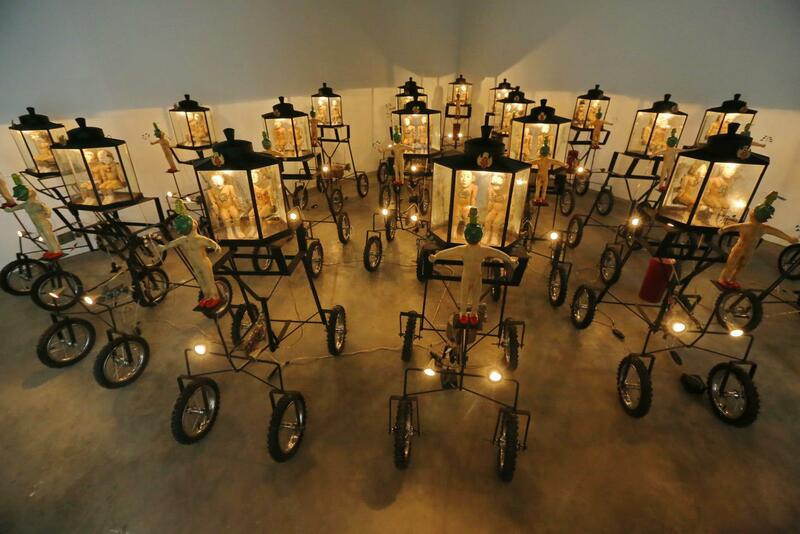 “In other words, the market for Indonesian contemporary art will be bigger. 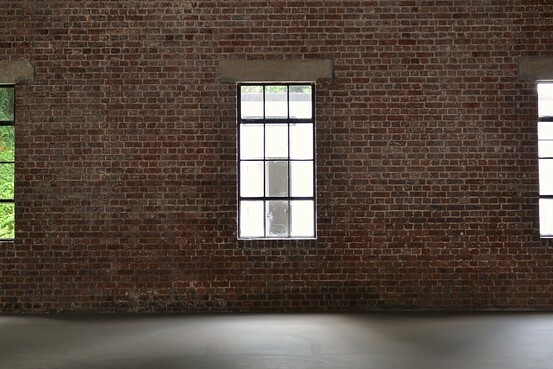 An artist impression of Gillman Barracks. 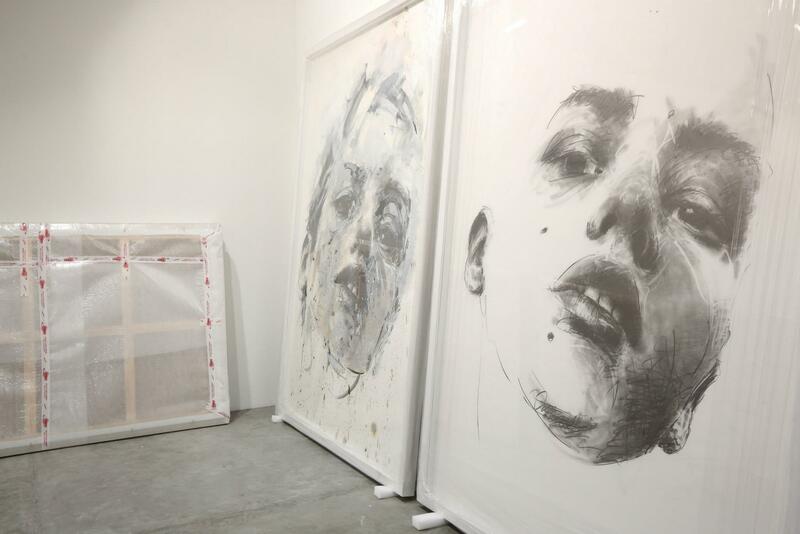 With Art Stage Singapore, the contemporary art fair that ended its second edition last Sunday, Singapore has shown that it can attract international contemporary art galleries to its shores. Now, the city-state wants to keep them here for the long haul. Come May, 13 galleries will set up shop at Gillman Barracks, a former colonial military compound about 15 minutes out of the city center. The barracks’ redevelopment, led by government-affiliated agencies like the Economic Development Board and the National Arts Council, is part of recent efforts by Singapore to become a regional arts hub. The initial batch of galleries includes Japan’s Kaikai Kiki, run by artist Takashi Murakami, and Sundaram Tagore Gallery, which has spaces in New York, Los Angeles and Hong Kong. 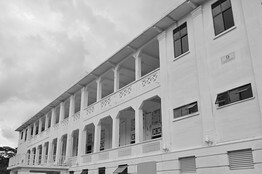 Gillman Barracks, which was handed over by the British in 1979 and used first as a Singapore army camp before becoming a commercial and dining spot, will eventually hold about 20 galleries. The Singapore government came up with the idea of developing Gillman Barracks into an arts cluster in 2010, and has since invested S$10 million into the project. An open tender was made last June for galleries to apply for a space in the barracks. “We thought hard about galleries that would have the effect we want [and could] make Gillman Barracks a catalyst” for the Singapore arts scene, said Eugene Tan, a director at the Economic Development Board. Selection criteria included the participation of galleries in international art fairs, the artists the galleries represented and the profiles of gallery directors. Aside from art galleries, Gillman Barracks will also host a Centre for Contemporary Art, which will hold public exhibitions, conduct research into art criticism and host artist residencies. Gillman Barracks will host art galleries, research institutions and a center for contemporary art once completed. 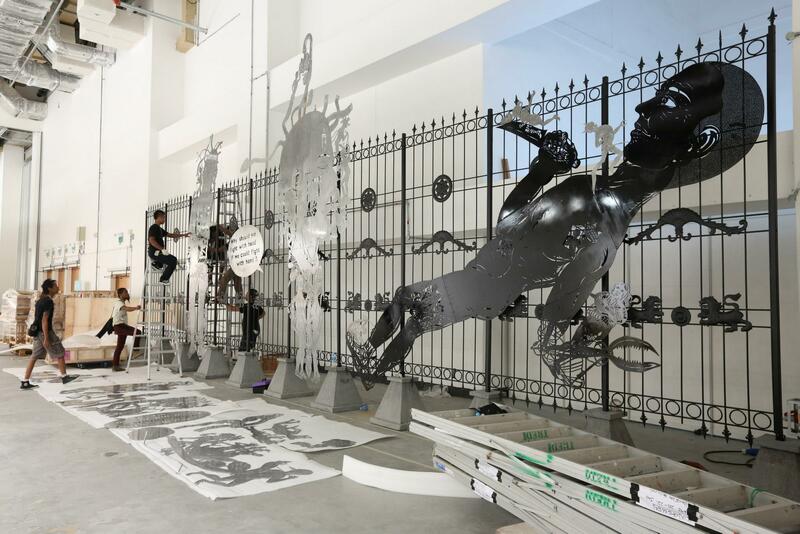 SINGAPORE – When the Gillman Barracks cluster of art galleries opens on Friday, it will mark a crucial step in Singapore’s long-running effort to be taken seriously as a cultural hub. “We hope this will become a truly iconic international arts destination,” said Eugene Tan, program director at Singapore’s Economic Development Board, which is sponsoring the project and oversaw its development. The leafy Gillman Barracks — whose name pays homage to the site’s past as a military camp — will eventually house 19 galleries, two research institutions and three food-and-beverage outlets across its 15-acre grounds. It opens with 13 galleries, ranging from established names such as Ota Fine Arts, which represents Yayoi Kusama, and Sundaram Tagore, which has Annie Leibovitz on its books; to younger entities like Singapore’s Fost Gallery and the Australian-owned Future Perfect. Despite the government putting up 10 million Singapore dollars (US$8 million) to develop Gillman, Mr. Tan said that it won’t be involved in what the galleries show. “They don’t need our endorsement or clearance,” he said. The barracks was formerly a military compound. For others, a Singapore outpost allows them to ride the Southeast Asian economic wave. Mr. Tan said that Gillman will be looking to attract buyers from Indonesia, the region’s largest economy. According to the Boston Consulting Group, Singapore is now home to the highest proportion of millionaire households in the world. Government statistics show that there were 856 arts companies registered here in 2011, up from 428 in 2006. Setting up Gillman Barracks hasn’t been entirely smooth sailing. The launch was pushed back from May, which led to Future Perfect not being able to show one planned exhibition to the public. Meanwhile, the Centre for Contemporary Art, a research institution that will also host artist residencies and exhibitions, won’t open till next year. “The center is a lynchpin to this development,” Future Perfect’s Mr. Teh said. 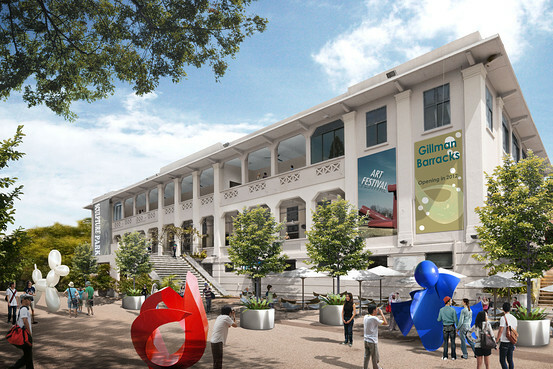 “It’s not like we’ve just found out, but it’s a disappointment that it’s not going to open along with the commercial galleries.” Several gallerists point to Singapore’s arts institutions — a National Art Gallery will launch in 2015 — as a major advantage it has over Hong Kong, whose West Kowloon Cultural District has been long delayed. With its centralized approach to governing, Singapore’s ruling People’s Action Party, in power since the republic’s birth in 1963, has created an economic juggernaut. But can the city-state that forbids chewing gum create a premier arts marketplace and incubator? Over the last decade the government has spent hundreds of millions of dollars to make Singapore a “Global arts city” by 2015. One recent high profile effort is seen in Art Stage Singapore, the second edition of the city-state’s contemporary art fair boasting 130 galleries from 18 countries, which ended its four-day run yesterday (January 15). But first, some facts and figures for why Singapore’s central planners want a piece of the arts pie. According to The Global Art Market in 2010, Crisis and Recovery by arts economist Dr. Clare McAndrew (the 2011 edition will be released in March at TEFAF Maastrict) the global market for art and antiques bounced back far stronger than equities in 2010, as a whole rising by 52% and reaching a total of €43 billion; the most significant development in recent years has been the phenomenal growth of the art market in China, which nearly doubled in value since 2009, and now represents 23% of the market compared to 34% in the U.S. (China has consistently gained share since 2006: its auction sales have increased nearly nine times in six years, with 2010 representing by far the largest rise to just under €6 billion). As Sotheby’s sales for the first half of last year were up 55% to $3.4 billion, a new all-time high for consolidated sales for the first half of a year, and arch rival Christie’s also reported stellar sales of $3.2 billion (read all about it: www.artnet.com/magazineus/news/artmarketwatch/sothebys-bests-christies-8-5-11.asp), and as the fall auctions from London to New York to Hong Kong saw numerous records, there’s no reason to conclude the final 2011 figures will be any less jaw-dropping (especially when compared to equity markets that have yet to top a two-year trading range). Additionally, the Asia-Pacific region now has more millionaires than Europe, and is closing in on the U.S. (Asia: 3.3 millionaires; Europe: 3.1 millionaires; U.S. 3.4 millionaires), and given the propensity for, er, financial discretion in China and several countries in Southeast Asia, the figures for Asia are conservative); private museums throughout Asia are mushrooming, as are the number of high profile art collectors. So then, it’s not rocket science to deduce why those at the helm of Singapore, Inc. crave culture. First, it’s a simple equation: art equals money. Second, it’s a growth business (apparently, lately, very high growth). Third, there’s a lot of new money in Asia, much of it hungry for art, and even more of it potentially able to develop an arts appetite, and that money is growing faster than it is in the West. And then there’s the catalog of ancillary benefits: prestige, tourism, jobs, quality of life, plus art as a catalyst for creativity across disciplines and industries. To foster Singapore as a cultural hub, the government has implemented numerous tax incentives—among them tax-free, state-of-the-art storage and display facilities the size of six football fields (and this is but stage one; Christie’s is reportedly one of the principal tenants. The city-state is also rapidly building new cultural institutions, such as a national art gallery comprised of the former city hall and supreme court, scheduled to open in 2013. Such efforts should be compared with those of Hong Kong, which continues to wear Asia’s art marketplace crown and hardly sitting still. After New York and London, the former crown colony is the world’s third largest auction market (figures in The Global Art Market in 2010, Crisis and Recovery combine mainland China and Hong Kong). The city is also in the midst of a massive $2.1 billion West Kowloon Cultural District, which includes a contemporary museum called M+ (the first phase is scheduled to open in 2016), the renovation of the Central Police Station heritage site to an exhibition venue (scheduled to open 2014) and the opening of the Asia Society’s new premises in Hong Kong early this year. The current breadth of the city’s non-commercial arts scene is also impressive, and is illustrated by the exhibitions and projects organized by numerous organizations, Para/Site Art Space, Asia Art Archive and Fotan Open Studios among them. On the commercial side, Western galleries are flocking to Hong Kong, among them hundred-pound gorillas such as Gagosian, which opened last year, and White Cube, scheduled to open this spring—an influx which is catalyzing the opening of more Asian galleries, particularly from China. 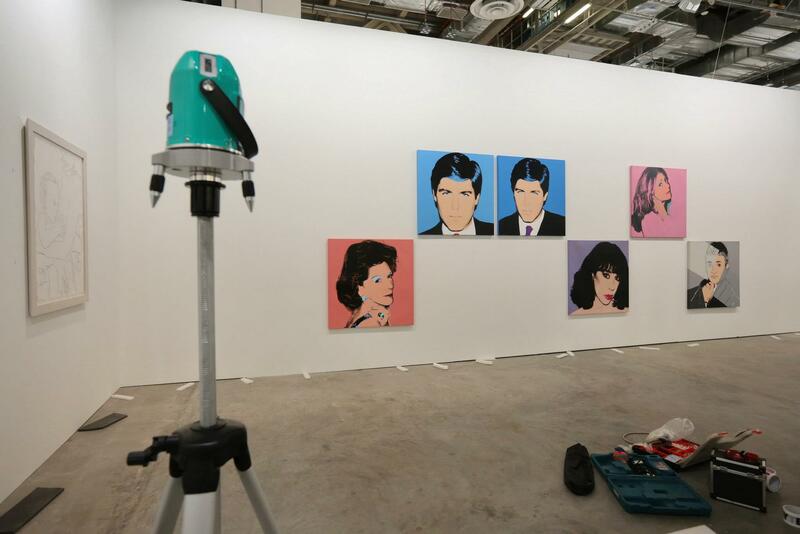 A sign of boom times, a 60% stake in Asian Art Fairs Ltd., the owners the eleven-year-old Hong Kong International Art Fair, ART HK, was purchased by MCH Swiss Exhibition Group, the owners of the Art Basel brand (at the time, Art Basel directors Annette Schonholze and Marc Spiegler stated, “the mid-term goal is to convert ART HK to the Art Basel brand as the third platform for our leading international art shows”). With 260 galleries from 38 countries, ART HK 11, held last May, saw 63,511 visitors, an increase of 37.7% from the previous year. If Singapore’s goal were simply to become Asia’s principal art market, it might well seem a Sisyphean attempt. But its aim is likely more tiered and long-range, as well as strategic. Lorenzo Rudolf (left), the veteran art-fair organizer and arts world heavyweight, was the director of Art Basel from 1991-2000, and founded Art Basel Miami Beach in 2002 and Shanghai’s ShContemporary in 2007. He is currently the director of Art Stage Singapore. In the January issue of Art + Auction (which was published online January 13), he participated in a Q&A, with several of answers pertaining directly to Singapore’s leaders’ artful aspirations. It’s notable that Rudolph is branding Art Stage Singapore “The Asian Art Fair.” It’s also significant that this year’s fair produced a campaign with the theme and tagline “We Are Asia,” with press materials explaining that “The fair has taken the role of Asian art advocate by elevating them to a level of international importance, and by positioning them as strong and competitive players in the global market.” The next three to five years will show if the strategy works. Gardens by the Bay, a monumental series of three waterfront gardens spanning 101 hectares that combines horticulture with eye-popping architecture (the largest of the three, the 54-hectare Bay South garden, is set to open this June). Part II of this story: An art and design walk around Marina Bay. 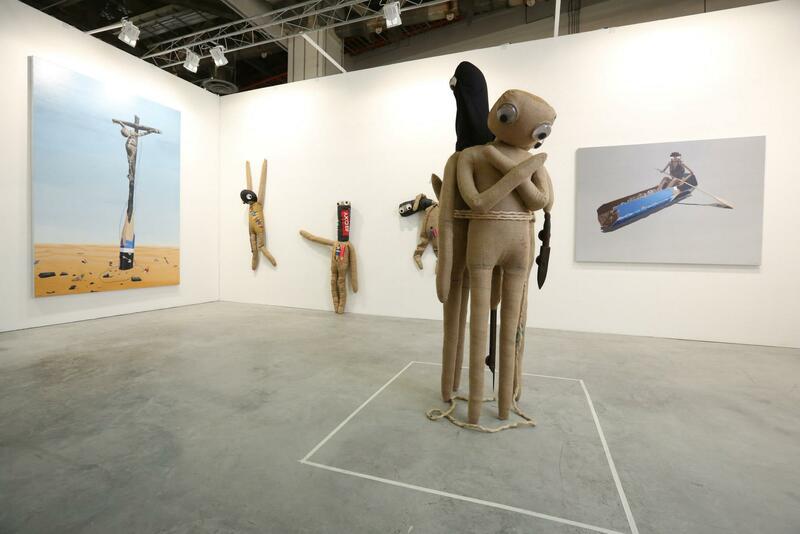 Billed as Asia’s premier international contemporary arts fair, Art Stage Singapore 2013, which kicked off on Thursday and runs through Sunday, is now in its third edition. This year’s “We Are Asia” theme emphasizes the fair’s aim to promote Asia’s art market on the global stage, with a special focus on Southeast Asia. 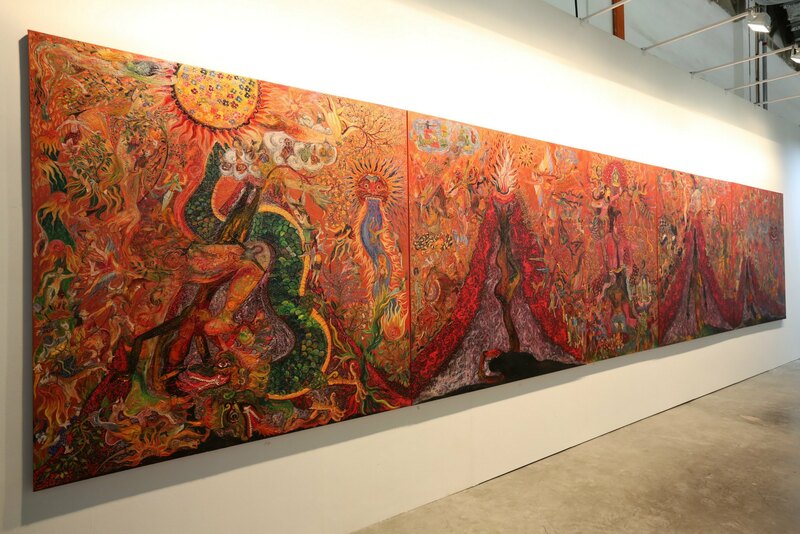 Founded in 2010 by the former director of Art Basel, Lorenzo Rudolf, with the aim of supporting the Asian art industry, Art Stage Singapore features more than 120 galleries, with Asian art comprising up to 80 percent of the exhibited works. New in this year’s program is a series of educational events such as lectures and discussions. Art Stage+, a virtual art fair, gives art enthusiasts and collectors access to all the fair’s artwork without having to be physically present. Another novelty of the fair is its Indonesian Pavilion, which according to organizers is the largest international showcase of contemporary art from Indonesia to date. It represents another step in recognizing the global emergence of Indonesian art — often dubbed as the next big thing. Among the 50 artists participating in the year’s fair are names as familiar and renowned as Heri Dono and Tintin Wulia, though the fair is also highlighting newcomers who are just beginning to break onto the global scene. Additionally, Yogyakarta’s Gajah Gallery will be exhibiting its latest initiative, the Yogya Art Lab, at the Art Stage. YAL is an experimental center for contemporary art production, where international artists are invited to collaborate with local talent in order to develop and bring forth new and innovative projects. 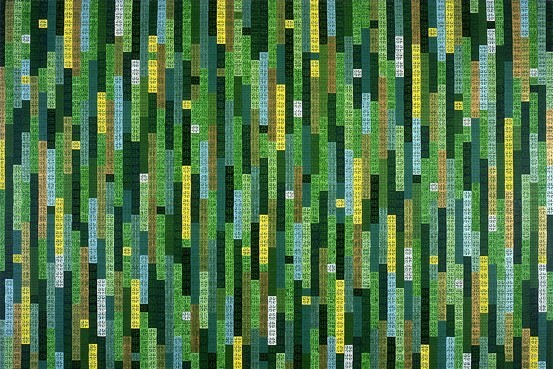 Over the past few months, American paper maker and artist Richard Hungerford teamed up with Indonesian artist Yunizar to create a series of mixed-media artwork that focuses on textural language and layers. 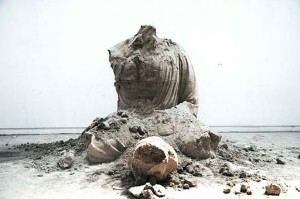 Yunizar first became interested in Hungerford’s work in 2005. 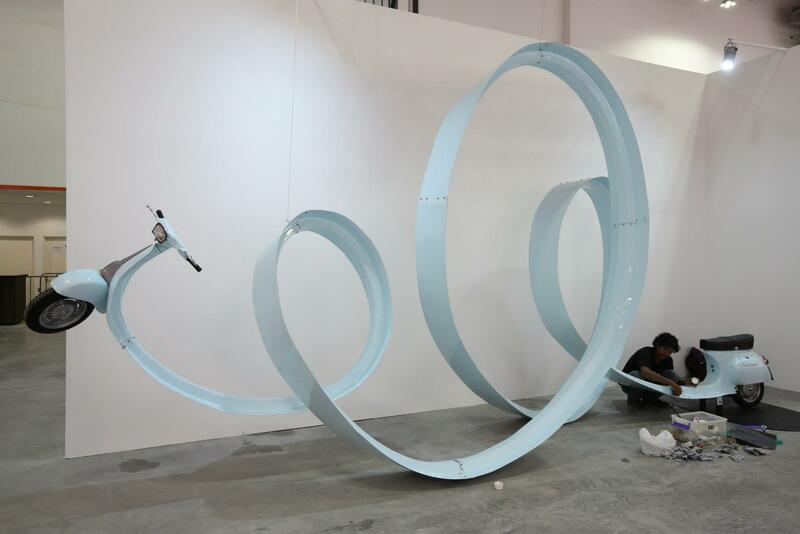 He hoped that Gajah Gallery would be able to initiate a collaboration with the Iowa-born artist, who has been working with paper since the late 1970s and has spent 10 years of his artistic career in Singapore. After finally realizing his wish, Yunizar said that his experience working with Hungerford was a unique one. 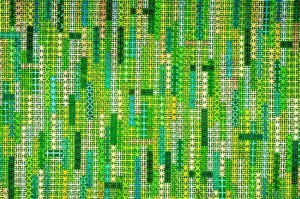 “[We invented] new techniques in order to be able to make this kind of artwork. It’s fresh and exciting,” he said. “What Richard and I have done is left the apparent textural beauty of the paper,” Yunizar added, explaining their creative process. As for Hungerford himself, Indonesia has always been a “dream spot” for him, albeit initially not because of the art scene, but because of the famous surf spots found in the country. When the opportunity arose to come here for work, though, Hungerford didn’t hesitate. “I figured the stars were aligning,” he said. The same can be said about his fruitful collaboration with Yunizar. “I was just pondering the fortunate opportunity to be developing work for Yunizar as a life-long experience coming together with this one particular artist,” Hungerford said. According to Hungerford, being involved in Art Stage Singapore is extremely important. 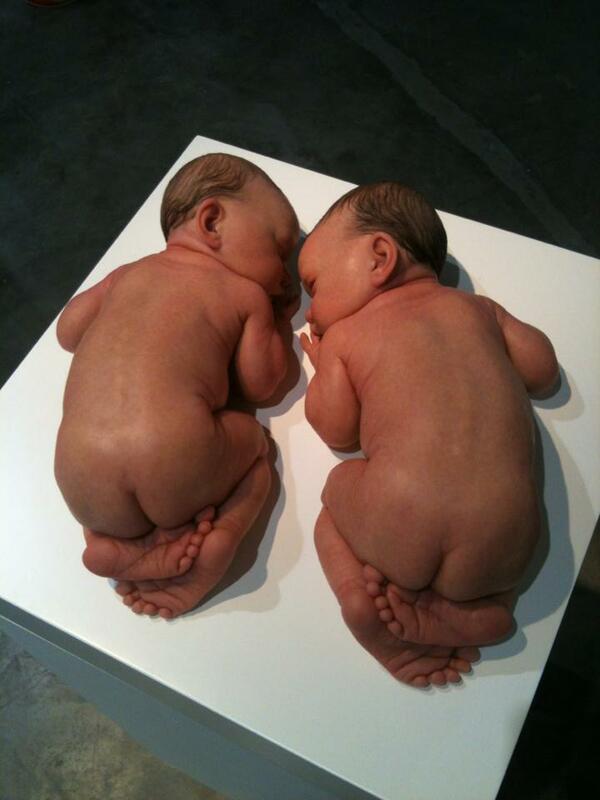 However, the art fair has faced some criticism for some of its practices. The main point of censure has been the fact that the fair will be taking a commission of 50 percent for each sale made — instead of merely hosting art dealers, the fair is acting like one itself. But according to Lorenzo, such a high commission was based on his findings that between 2011 and 2012, participation of Indonesian art galleries in international art events declined as much as 50 percent, since many Indonesian artists are not represented by galleries. Farah Wardani, an art critic and director of the Yogyakarta-based Indonesian Visual Art Archive, is also involved in this year’s Art Stage: IVAA opened a library and will host a series of talks at the event. “All I know is that the controversy is based on two issues,” she said. Whether Singapore Art Stage should help Indonesian artists sell directly to collectors due to a lack of representation and a weak gallery infrastructure in their home country, and the fair taking the dealer’s commission, remains up for debate. One thing is for sure: never before has Indonesian art been the focal point of an international art festival on such a grand scale. “Controversy aside, on behalf of IVAA, I will say that it is still a good chance for Indonesian contemporary art to be put in the spotlight of an international-scale event,” Farah said. With our program, we hope that people “will gain more knowledge and a deeper understanding of the Indonesian art scene and history, which we find very important,” she continued. First published on 23 Jan 2013. Updated on 23 Jan 2013. In the run-up to this year’s Art Stage, organisers trumpeted the news of an Indonesian Pavillion, prompting many people here to begin asking why local Singaporean artists wouldn’t be getting a platform as well (especially with the large amount of government support the fair is receiving). FOST Gallery will be showcasing four recent series by Ang at Art Stage’s Project Stage section, which features specially curated solo booths dedicated to emerging artists in the Asia Pacific art scene. While each series varies wildly in medium and presentation, ranging from pen drawings to mini worlds created within cabinet drawers and handmade broomsticks, they are nonetheless united by the artist’s central theme of exploring surrealism versus reality. 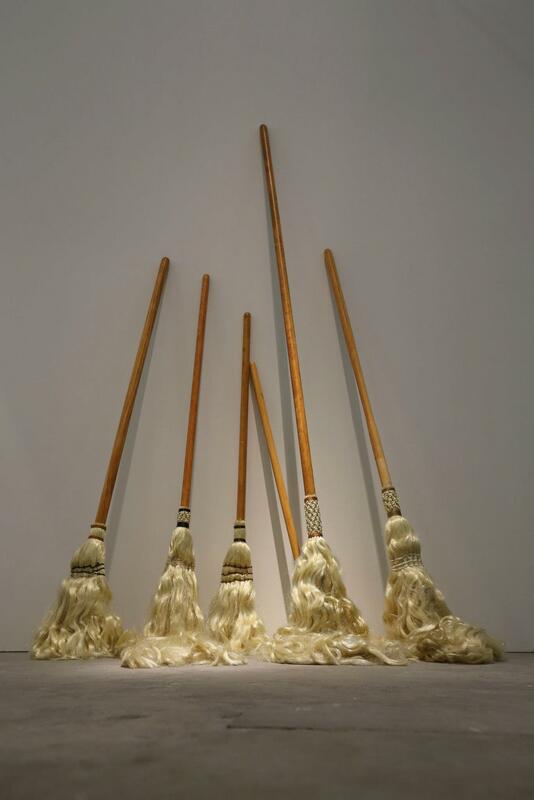 As an artist, curator and writer, Chong’s works are often conceptual, interactive pieces. Here, he’ll be ‘selling’ contracts – for free – in a work called ‘A Short Story Lasting 365 Hours (In Silence)’. By signing the contract, the buyer agrees that they will spend one hour each day for a year without speaking or communicating to anyone else in any way. There is no pressure to stick to it, but the experiment is just a way to get some quality me-time away from our hectic lives. After the success of their ‘Incendiary Text’ series (which featured works based on Hokkien curse words) at Art Stage last year, this independent art collective – consisting of Joshua Yang, Justin Yoke and Fiona Koh – is back with a collection of paintings where nothing is ‘real’. For example, the piece ‘Bill Gates and Steve Jobs Discussing the Future of Information Technology’ is based on fictional characters, and the scene is taken from the film Pirates of Silicon Valley. Art Stage Singapore 2013 is on 24-27 Jan at Sands Expo and Convention Centre, 10 Bayfront Avenue (6224 4975). MRT: Bayfront. Thu & Fri noon-7pm, Sat 11am-7pm, Sun 11am-6pm. 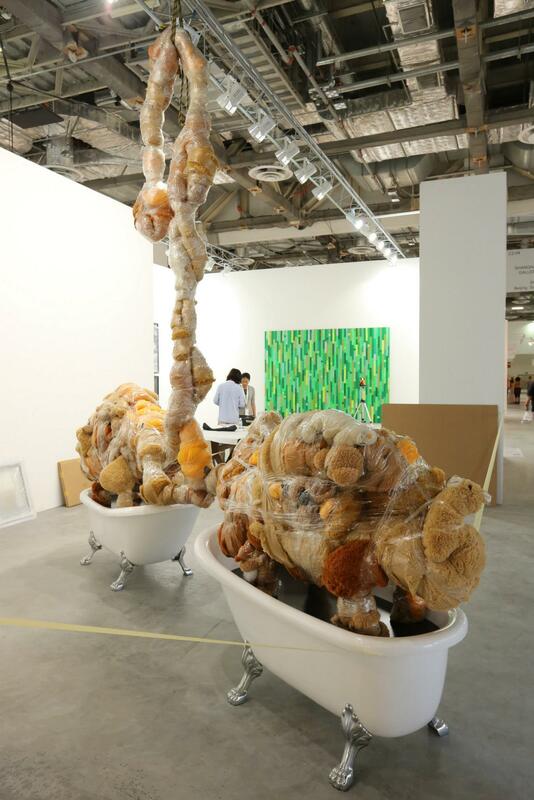 This past weekend, art lovers, dealers, and collectors from throughout Asia and around the world flocked to Art Stage Singapore, the first international art fair of 2013. Despite a strong Southeast Asian flavor, this year’s edition, held at the Marina Bay Sands Exhibition and Convention Center, presented contemporary art in a dynamic intercultural context, with a Project Stage for emerging Asian art and a dedicated Singapore Platform to represent domestic arts venues. In all, around 130 galleries from 26 countries took part in Art Stage, attracting better attendance and sales than last year’s edition. According to the Wall Street Journal, 40,500 people attended the fair, up from 35,000 in 2012. 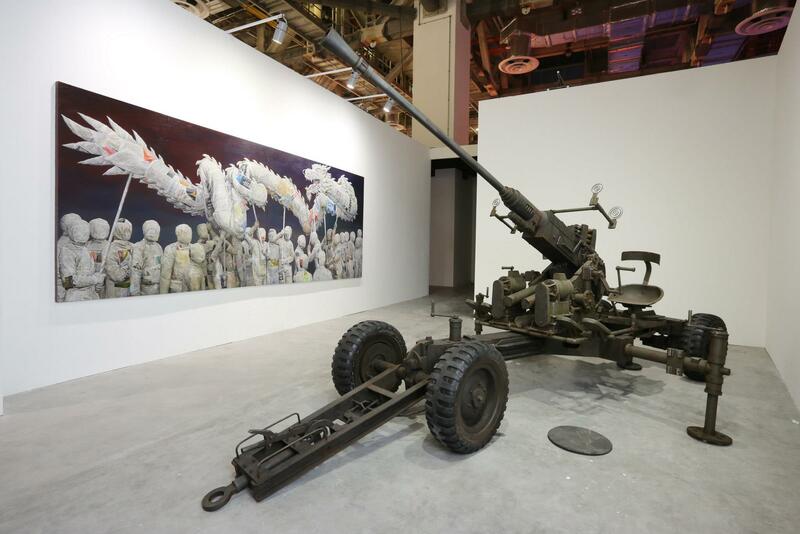 After Singapore, China-based galleries represented the second largest group in the gallery section, with over a dozen venues, among them ShanghArt, taking part. Home to approximately 91,200 US dollar millionaires, dealers are banking on the huge potential domestic market in Singapore. Though foreign art buyers, mostly visiting businessmen, still account for the majority of art sales at Art Stage, organizers have said that the number of domestic buyers increased by 10 percent from 2011 to 2012. Among the highlights of this year’s event were the “Appearance of Crosses” series by Chinese contemporary artist Ding Yi, sold by ShanghArt for S$560,000 (US$452,269) and a set of pastel drawings by Hangzhou-based artist Sun Xun, which went for S$60,000 ($48,434). Guests were also drawn to Zhang Huan’s “Berlin Buddha,” as well as pieces by Chen Chieh-jen, Damien Hirst, Miró, and Chagall. Developed by the former director of Art Basel and SH Contemporary, with strong support by Singaporean governmental agencies like the Singapore Economic Board, the National Tourism Board and the National Art Council, Art Stage is Singapore’s strongest attempt at consolidating its position as a major regional and international art hub, and providing a platform for contemporary Asian art. While nearby Hong Kong has largely succeeded in taking a leading role on the global arts stage, becoming the world’s third biggest art market after the US and UK, Singapore is clearly following a more regional approach. Art Stage founder Lorenzo Rudolf has repeatedly stated that he does not intend to compete with events like Art Basel (or its Hong Kong edition, set to take place this May), but sees Art Stage Singapore as complementing other major fairs. Another key objective of Art Stage Singapore, which sets it apart from other regional fairs, is to encourage young and emerging Asian collectors to branch out. This aspect of the fair has become particularly important as it pertains to Chinese collectors. With gallery infrastructure still in its developmental stage in mainland China and many still seeing art collecting as an investment opportunity rather than something to do out of enjoyment, this year the fair provided special educational trips for young collectors from China (as well as Australia, South Korea, Spain, and the Middle East). In editions to come, Art Stage Singapore will predominantly remain a platform for Asian art, and is aimed at strengthening regional art structures, improving the competitiveness of East and Southeast Asian galleries in the global art market, and drawing attention to emerging Asian artists. Lorenzo Rudolf has also stressed that the major goal of the fair is to bring together a cross-section of Southeast Asian art under one roof to bring in collectors who might otherwise avoid such a culturally and economically fragmented region. Currently, 75 percent of participating galleries are from Asia, and the fair remains attractive for emerging galleries, as its participation fee is estimated to be around 50 percent cheaper than comparable international events. Cosmos Suite painting 2013: Celestial Storm by Vincent Johnson. Oil on canvas. 30″x40″. This is the first painting I’ve created in the year 2012. Each of the paintings in the Cosmos Suite and Nine Grayscale paintings employs different elements in terms of paint application, type of painting media used, and the range of colors worked into the painted surface. This particular painting has four major layers of paint with more layers added and blended into the already laid down and worked paint. The second layer is allowed to bone dry before the last layers are applied. I’ve compiled several recipes for creating the paintings, which take several weeks as the underpainting layers are air-dried. After applying the third layers, I rest the work for a day or more to figure out what will be the plan of attack to complete and resolve the painting. With each work I strive to produce an elegant and beautiful image that is also compelling to engage from the perspective of the history of painting and of contemporary painting practices today. Hey there! I’ve been reading your blog for a long time now and finally got the courage to go ahead and give you a shout out from Austin Texas! Just wanted to say keep up the great work!